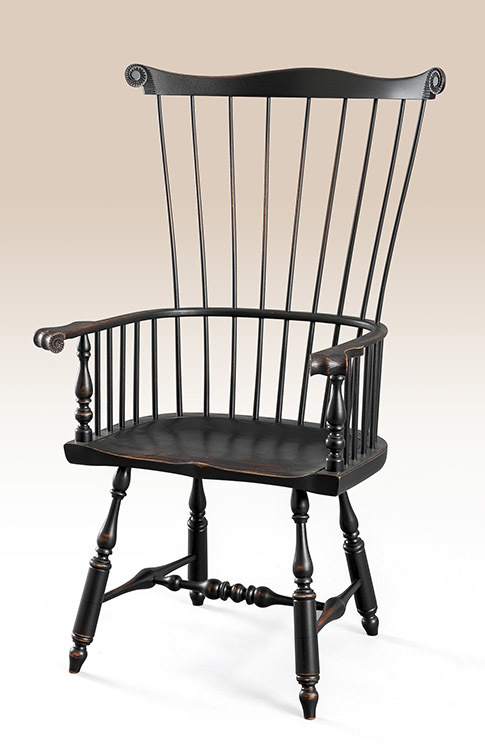 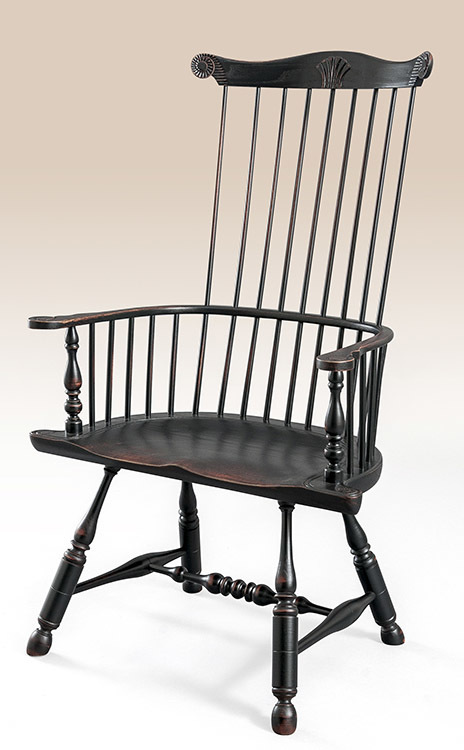 The Historical Philadelphia Shell Carved Chair is an excellent example of the classic Windsor style chair. 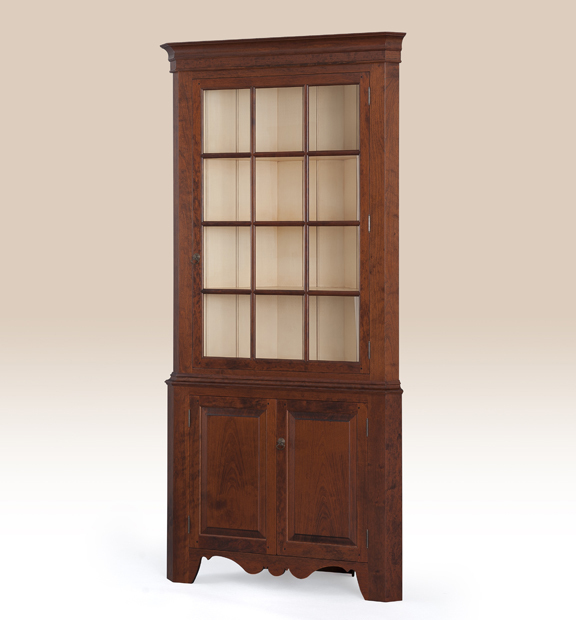 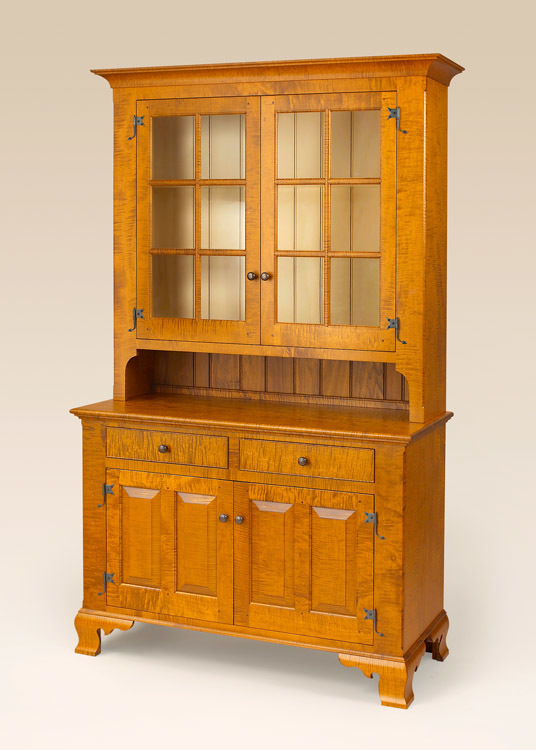 It features beautifully carved ears and accent shell. 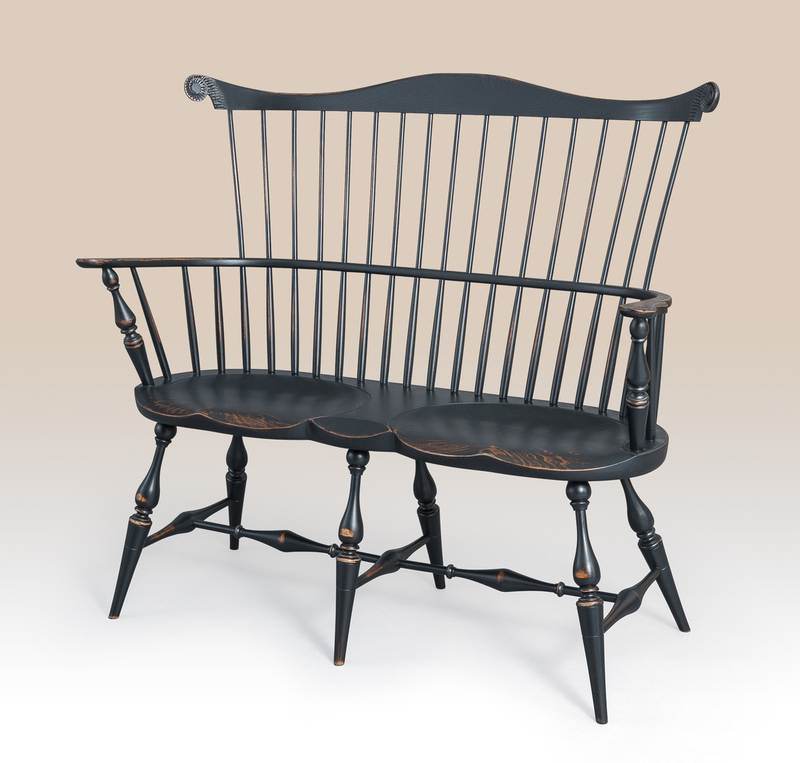 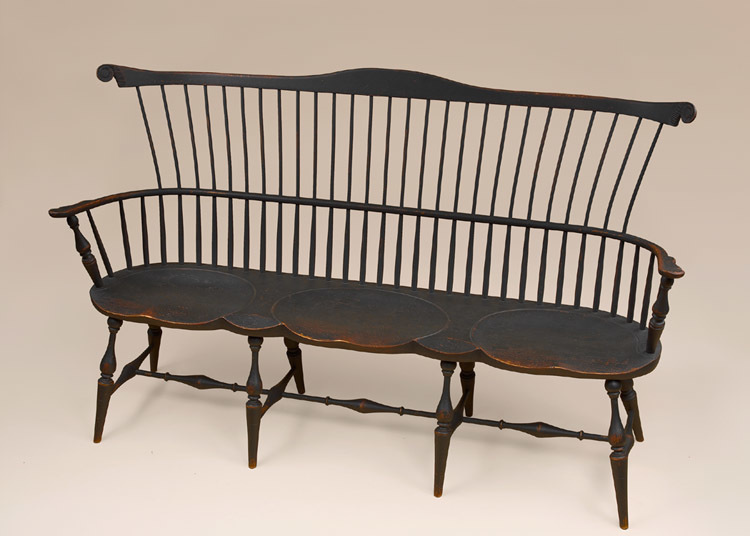 The sculptured seat makes it particularly welcoming as an occasional chair in the living room or den. 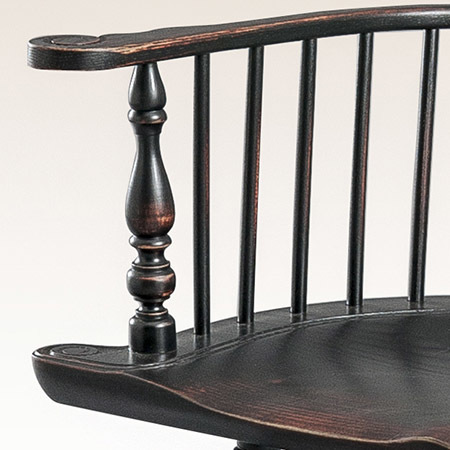 Turned legs complete this handsome Windsor chair. 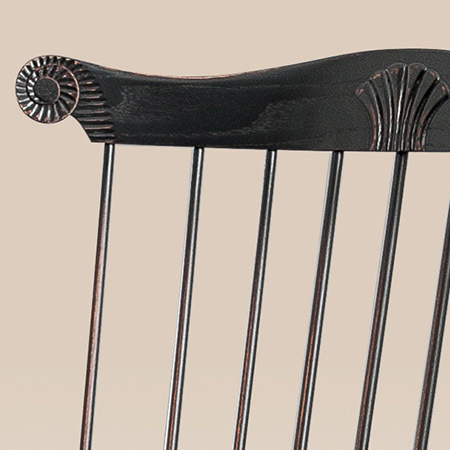 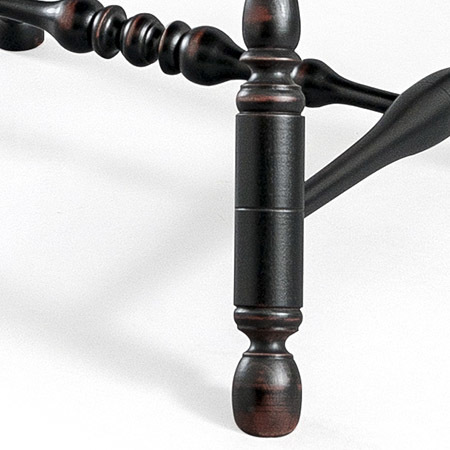 *Pictured in black over red rub finish.